Ocean Cry, original Alison Johnson painting. A stunning abstract seascape from contemporary artist Alison Johnson. 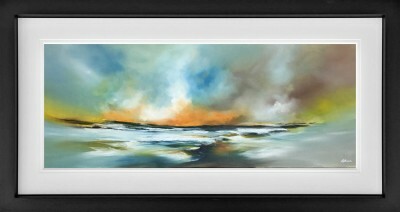 This Original Oil on Canvas has a striking colour palette suited for any interior. Comes beautifully framed.